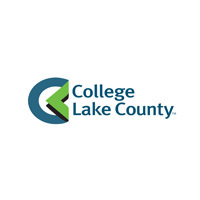 The College of Lake County is a comprehensive community college offering a wide range of academic program choices to meet students' educational needs at different points in their lives. The college is accredited by the Higher Learning Commission and a member of the North Central Association. Our major program areas include credit programs to prepare students for transfer or career entry, GED and adult basic education, non-credit offerings for personal or career development, and contract training and specialized services for businesses.Regardless of their focus, our programs emphasize academic excellence and concern with the individual student's goals. Each semester we serve around 18,000 credit students, with more than 80 percent enrolled in transfer or career preparation programs.Located in the far northeastern suburbs of Chicago, our district has a population of almost 713,000 residents, living in more than 50 demographically diverse communities.